The ACMG Training and Assessment Program just finished the Apprentice Ski Guide Exam. We skied from March 21 - 29 in the Whistler and Blackcomb backcountry areas as well as Cayoosh, Taylor and Rohr mountains in the Duffey Lake area. We travelled all aspects and elevations favouring alpine and glaciated terrain. Stable snowpack conditions allowed for travel on steep alpine features. Lower treeline and below treeline was avoided due to spring and isothermal conditions. We started the week at the tail end of the widespread Na loose wet cycle to size 2.5 all asp all elevations except north aspect above 2000m. 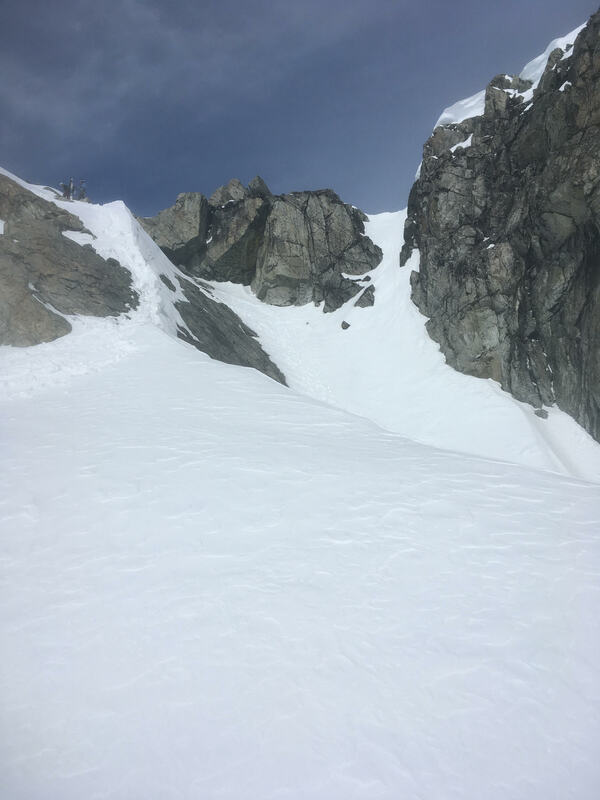 With the temperatures subsiding we entered spring diurnal conditions with good overnight recoveries and no avalanche activity. On March 26th, Whistler area received 5-15cm with mod S/SW winds. A few wind slabs to size 1 were observed to 15cm deep in the following 24 hours. Following this the winds switched to N-E and created small isolated wind slabs on all aspects in the alpine with no reactivity observed. These winds negatively impacted ski quality in the alpine, creating a wind skin in all but the most sheltered areas. 5-15 cm recent new snow has been redistributed by SW winds created isolated wind slabs. North aspects remain dry above 1900m. Melt-freeze crust on solar aspect. Isothermic TL and below on all aspect. The Alpine, in general, is far less covered than in recent years with the amount of wind and cold temperatures throughout the season. We are now starting to see crevasses starting to sag with recent warming as well as bergschrunds/moats are starting to open.